Thank the Cereal Pantry for putting us out of the agony of getting stuck with one dull box of breakfast crunch for a week with their gamut of 24 cereal types and 22 fruit toppings. 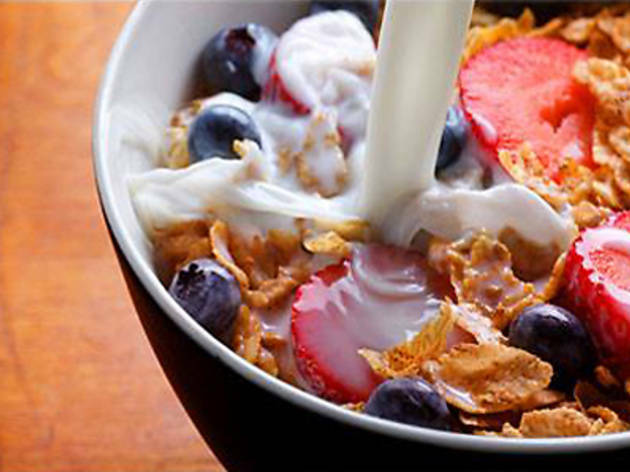 Go for a standard bowl, say a Cap’n Crunch peanut butter crunch and cinnamon toast crunch with banana and milk ($5.70), or shoot for a parfait – yogurt and granola with strawberries and blueberries ($6.60). 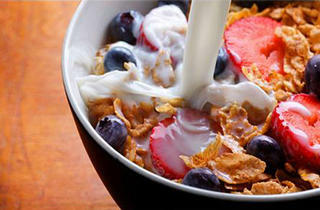 We recommend the deconstructed iced latte ($4.80): espresso ice cubes with frothed milk to pair with the cereal bowls.